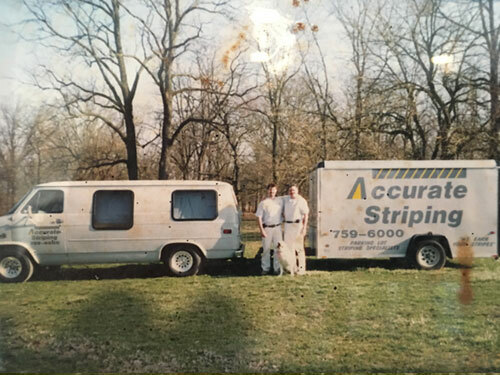 Founded in 1996, Accurate Striping began as a small parking lot striping company with two machines, two guys, and a 1978 Chevy Passenger van. Built from these humble beginnings, Accurate Striping has grown to be a full-service traffic control company, with a full fleet of specialized striping equipment and a full team of experienced staff, ready to meet your parking lot, airport and road striping needs. Our years of business and expertise allow us to provide quality service, optimal function, and aesthetically pleasing products to each and every customer we serve. We take pride in doing what is perceived as “ordinary”, extraordinarily! Delivering solutions and services that drive your project to success.